Minimum quantity for "OVAL MIRRORS, DRILLED STEMS Rocket III Speedmaster America TBird 1600 1700" is 1. 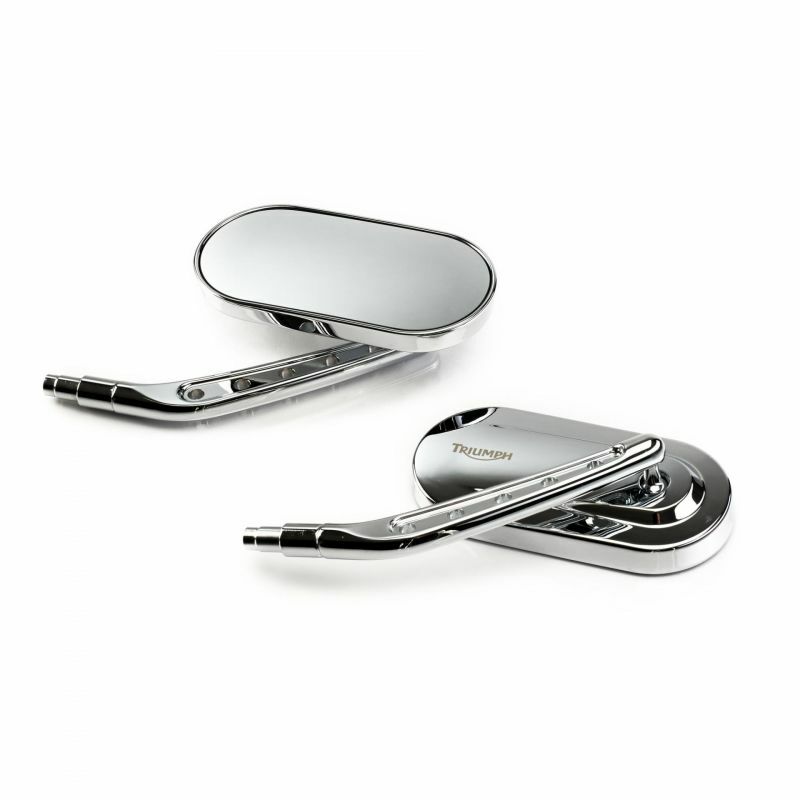 Stylish, high gloss chrome mirror kit, featuring laser etched Triumph logo. Available with Oval or Teardrop shaped mirror heads with solid drilled stems.